The T210 Nitrogen Precision Iron allows creating an inert atmosphere, removing the oxygen, and hence minimizing oxidizing effect during solder joint formation. The result is a higher soldering quality with improved wetting and slightly better productivity. It also allows using milder fluxes. It works with C210 Cartridges and comes with the B6647 Nozzle to transport the nitrogen to the tip. 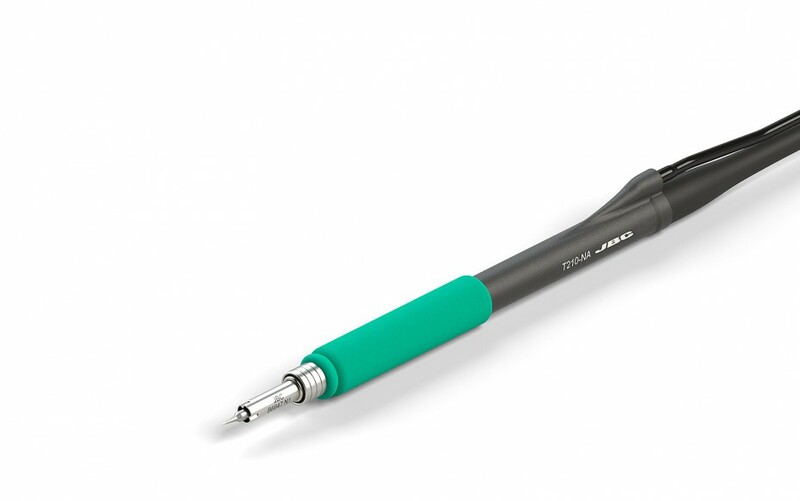 This Soldering Iron requires using the DN-SE Stand, a Nitrogen Flow Regulator and its corresponding Control Unit (MN-A for DI or MNE-A for DDE or DME) and the GN-A Nitrogen Generator if no nitrogen supply available at customers bench.